Online ordering menu for Maephim Thai Restaurant. 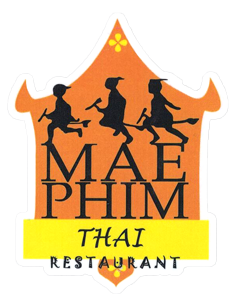 Try one of our featured entrees here at Maephim Thai Restaurant such as the Ginger Beef, Oyster Delight, Sweet & Sour Chicken, or the Yellow Curry. We also serve Vegetarian dishes and soups and salads! Find us east of I-5 at the corner of State Avenue and Grove Street. Order online for carryout or delivery!